Arriving early June. Please join our waiting list. 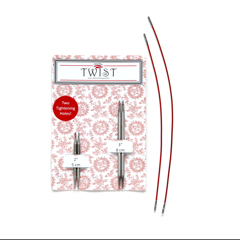 ChiaoGoo TWIST Shorties Combo Packs - Each size sold separately. Arriving early June. One 2" (5 cm) set of tips. One 3" (8 cm) set of tips. Two Twist red (S) cables allowing knitters to make 9" (23 cm) – 12" (31 cm) circulars. The tips are solid, surgical stainless steel and have a tightening hole. 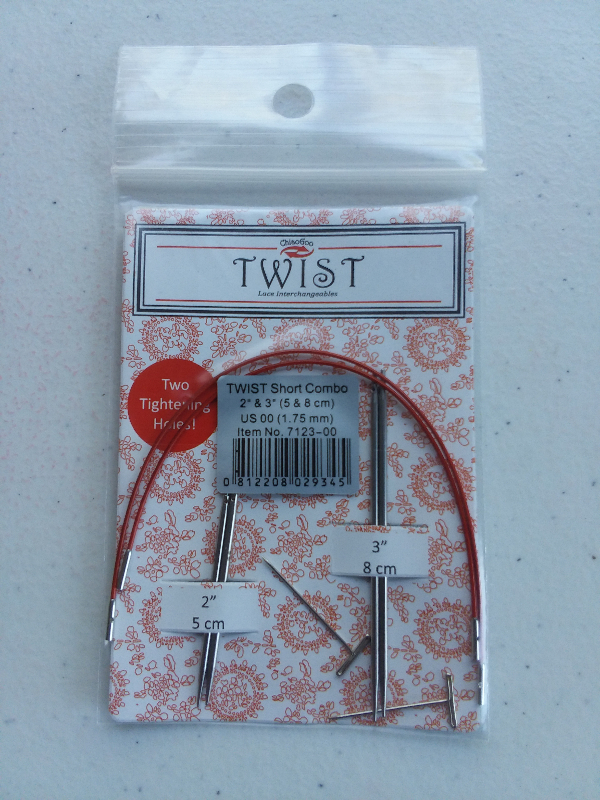 Note: This new system of TWIST interchangeables is slightly different where tip sizes up to US-3 (3.25mm) have a MINI diameter join. Tip sizes 4 (3.5mm) and larger have the small [S] diameter join.